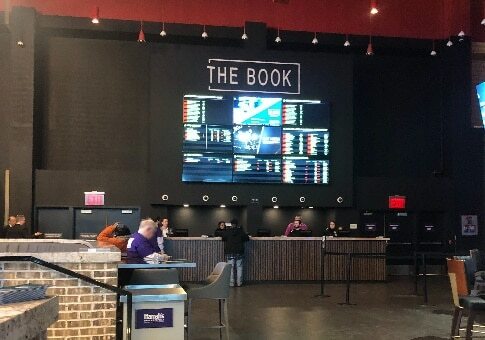 Harrah’s Philadelphia Casino & Racetrack has opened its physical sports betting facility just in time for the 2018-19 season Super Bowl. The corresponding online sports betting app should come shortly. Both projects are being powered by Scientific Games. Will Harrah’s sportsbook find success in the market? It certainly has the brand recognition on its side, and its land-based plans are ambitious to say the least. Online is more of a wildcard, as a Caesars online book in New Jersey – which was presumed to be used as the model for Harrah’s PA book – is currently underwhelming. However, a recent deal between Caesars and DraftKings may now mean that Harrah’s site in the Keystone State may instead be run by the current industry leader in the NJ market, which makes for far greater potential. A no-deposit bonus: New players could receive a small amount of bonus credit in their account upon creation. This money can usually be used immediately with a minimum amount of activity to clear. A deposit matches: Bettors may see their first deposit matched totally or in part by the sportsbook operator, up to a limited dollar amount. The wagering requirement for this is generally lower than it would be at an online casino, about 2x – 6x. In some cases, bet protection: In this bonus the operator will allow loss-prevention on your first bets up to a certain amount, essentially creating an opportunity for a small period of risk-free play. Matched free bet: A common mechanic where operators offer players a matched free bet, usually 100%, on their first wager up to a certain monetary amount. The free bet is there’s regardless of whether the initial wager wins or loses. However, only winnings from the free bet are applied to player cash wallets. There may also be other caveats associated with the wager, such as restricted wagers on certain formats or on heavy favorites. Judging by other sites in the family, it wouldn’t be out of the question if Harrah’s offered something like a $10 no-deposit bonus, followed by a first-time deposit match of 100% up to $300. What advantages will Harrah’s have in the Pennsylvania market? Brand recognition: Harrah’s is an established name in the gambling industry across many markets, residing alongside the many Caesars, Bally’s, and WSOP properties that make up Caesars Entertainment. Harrah’s Philadelphia Casino & Racetrack itself boasts more than a decade of success in Pennsylvania and currently has the fifth highest revenue in the state. Proven experience: In addition to its many land-based resorts, Caesars Entertainment also supports online casinos and online poker rooms in Nevada and New Jersey, and physical sportsbooks in both those states plus Mississippi. Caesars has also provided mobile sports wagering to the Nevada market since 2017, and to online bettors in New Jersey since September 2018. Suffice it to say, Caesars is a large sportsbook operator, with more experience than just about anyone in the game. Location, location, location: Philadelphia is home to some of the most, shall we say … passionate sports fans, many of whom will be eager to place bets with a trusted and nearby brand. Harrah’s Philadelphia may not actually be located in the heart of Philly (it resides in nearby Chester, PA), but it’s close enough that it should draw betting dollars from rabid Eagles, Phillies, Fliers, and 76ers fans. Platform integration: If DraftKings proceeds to share Caesar’s licenses in new markets, the site may be based on the superior DraftKings NJ architecture. 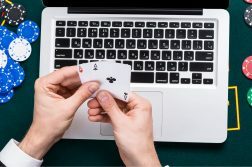 If not, and Harrah’s PA online sportsbook remains like Caesars Casino and Sports in New Jersey, it will at least mean players will have access to the decent software from Scientific Games – and also that that bets at either the book or the casino will earn valuable Total Rewards points (redeemable for cash online, or for use at any Caesars’ land-based property). 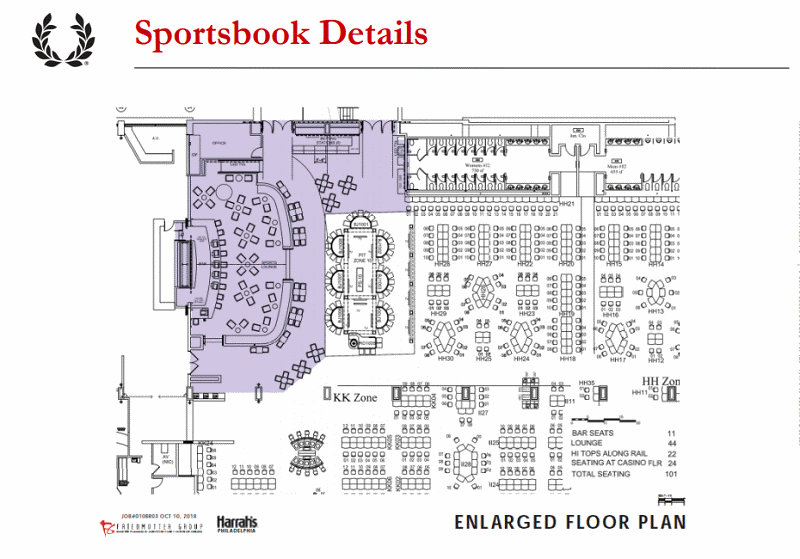 At a October 2018 PA Gaming Control Board hearing, Harrah’s unveiled its plans for a permanent sportsbook at its Chester location, housed inside the renovated racebook, with over 4,300 square feet of space dedicated to sports betting. Harrah’s accommodations opened to the public in January. Company representatives have been pretty mum on Harrah’s online sport betting plans. What we do know is that Harrah’s online casino in NJ does not currently offer a sports betting option, but its sister site Caesars Casino has an online sportsbook powered by SG Digital, a branch of Scientific Games. Given that Harrah’s is already partnered with SG Digital in Pennsylvania, it is nearly certain that the provider will power an extremely similar Harrah’s-branded sports site in that market. As to when the online sportsbook will launch, we’re likely looking at Q1 2019. Harrah’s plans to integrate its online sportsbook into its online casino, much like Caesars Casino does in New Jersey. 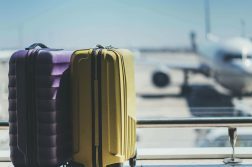 However, if one is given the thumbs up from regulators before the other, Harrah’s will have no reservations about launching a single product, and then integrating later. The Caesars sports site in NJ has a fully featured interface which allows wagers for all major sports leagues, with parlay and futures options. In total market share the site ranks very nearly last, but this is amongst stiffer and more competition than Harrah’s will have to compete with in PA. If it can launch as soon as possible there an opportunity to be a much more formidable entity in the new market. Online sportsbooks can offer an array of similar promotions at given times. These including recharge deposit matches, discounts on time-specific bets or improved odds, or temporary loss prevention on certain themed parlays. All Caesars properties (online and physical) participate in the shared Total Rewards network, one of the bigger and better-known casino rewards programs. All bets will likely contribute to a player’s TR Tier and Rewards score, the latter of which can be redeemed for rewards and discounts at Caesars online sites and dozens of resorts worldwide. Harrah’s was pretty much a no-brainer to dip its toe into the Pennsylvania sports betting waters. Its parent company Caesars Entertainment has been an active participant in the Nevada market for many years. And although Caesars was late to the party in launching a mobile sports wagering app in Nevada, in New Jersey, it was among the first to offer sports betting on iOS, Android, and desktop computers in New Jersey. The Harrah’s and Caesars’ brands have also supported online casino sites in New Jersey dating back to November 2013. Harrah’s is also home to a racetrack and right outside Philadelphia, rendering it a prime candidate to make the transition to sports. Harrah’s made its intentions to enter the sports betting industry in Pennsylvania known on September 25, 2018, the third property in the state to petition. It committed $10 million for the right to offer books at its land-based venue in Chester and online. The license application was swiftly approved on October 31, 2018 by the Pennsylvania Gaming Control Board, landing Harrah’s a spot among the first five PA casinos to be approved for sports betting, joining Parx, Rivers, SugarHouse, and Hollywood Casino at Penn National. A soft launch for physical book occurred on January 22, 2019, with full operations officially beginning on January 24. In theory, a prospective Harrah’s sports betting operation in Pennsylvania has a lot going for it. Solid location, brand recognition, integration with Total Rewards, a top-notch provider and years of experience working with said provider. But the brand hasn’t exactly been crushing it in neighboring New Jersey, with land-based books at Bally’s and Harrah’s AC, as well as CaesarsCasino.com, only accounting for a small piece of the pie. In large part, we feel this is due to Caesars rolling out a rather lackluster (some may even say unfinished) sports wagering platform. Also, the location, while decent, isn’t as ideal for Philadelphia sports bettors as Parx and SugarHouse, both of whom have launch land-based sportsbooks before Harrah’s (and have planned corresponding mobile apps). While Harrah’s intentions for its land-based sportsbook were clearly set out, the specific plans for the online sports operation have not been made clear in detail. Caesar’s recent deal with DraftKings has potential, although it is unclear if this can affect Harrah’s PA site. Without DraftKings’ involvement our outlook for Harrah’s sportsbook is muddied, with much of it dependent on whether the mobile app will resemble the half-baked product that released in New Jersey.